I love cute friendly Halloween activities. 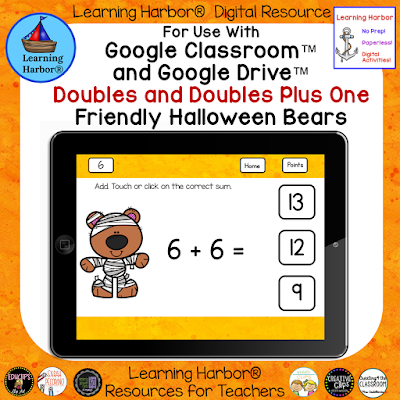 Here is a doubles and doubles plus one with adorable bears dressed for trick or treating. With this activity students practice doubles and the near doubles of doubles plus one. Kids will love the cute theme. With this easy to use Google Slides™ activity they will be improving their mental math skills and their computer dexterity at the same time.